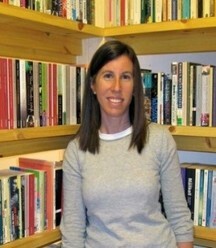 Laura Blumenthal teaches writing and English for Speakers of Other Languages. Her courses at UP include English as a Second Language for International Students and College Writing. 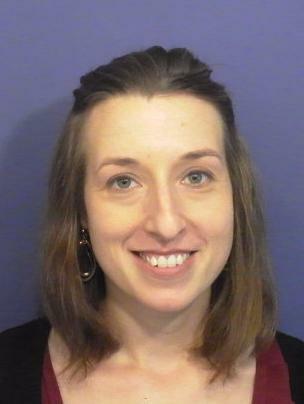 Her academic work focuses on the role of sociolinguistic factors in language acquisition. Dr. Brassard specializes in 20th Century British Literature and Feminist Criticism; her courses include English 112: Thinking through Literature (Reading for Social Justice); English 302: British Literature from 1800 to the Present; English 338: European Literature in Translation; English 370: Studies in Women Writers (an elective for the Gender & Women’s Studies Minor); English 375: Studies in Irish Writers; and English 404: Seminar in Postcolonial Literature & Culture. She serves as Book Review editor for the Space Between Journal and regularly presents her research on interwar women writers at the annual meetings of the Modernist Studies Association (MSA) and The Space Between. Her recent publications can be found here. Cheri Buck-Perry teaches integrative courses in the core curriculum designed to explore the rich intersection between academic disciplines. Her courses include ENG 191 Thinking through Literature: Reading and Writing Cultures of Food, in which students investigate identity, hunger, and our complex relationship with food and the environment, and ENG 191 Thinking Through Literature: Thresholds of Resistance in the Modern World, a course that investigates the dynamic conversation between literature and key historical movements. (Both courses are designed as co-requisites with core Environmental Science and History requirements.) Professor Buck-Perry also teaches ENG 112 Thinking Through Literature: Ways of Knowing and ENG 107 College Writing. Her interests include pedagogy, food literature and studies, and literature of the American West. She has given presentations on pedagogy, early twentieth-century American women writers, and has facilitated numerous creative writing workshops for young scholars in the Portland area. 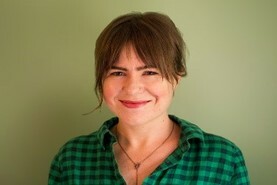 Elyse Fenton is the author of two poetry collections, Clamor, (winner of the Dylan Thomas Prize), and Sweet Insurgent (winner of the Alice Fay di Castagnola Prize). Her work has been published in The New York Times, Best New Poets, American Poetry Review, and elsewhere. She lives with her family in Portland, OR, where she is ill-advisedly at work on a novel. Fr. Hannon teaches writing with a focus on the personal essay, narrative, memoir, and profile writing. His courses include ENG 107 Introduction to College Writing; ENG 112 Thinking Through Literature; ENG 311 Advanced Writing; and ENG 343 Studies in Nonfiction. 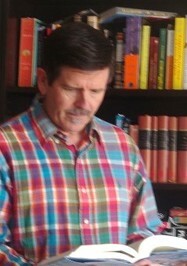 He has had published three collections of narrative essays (Running Into the Arms of God: Stories of Prayer, Prayer as Story, 2005; Geography of God’s Mercy: Stories of Mercy and Forgiveness, 2007; The Long Yearning’s End: Stories of Sacrament and Incarnation, 2009: ACTA Publications), and one collection of personal essays: Sacrament: Personal Encounters with Memories, Wounds, Dreams and Unruly Hearts (Ave Maria Press, 2014). His essays have appeared in The Gold Man Review, Timberline Review, Notre Dame Magazine, Portland Magazine, The Utne Reader, and US Catholic. Dr. Hersh teaches medieval and Renaissance literature and explores issues such as economics, gender, narrative theory, and politics in her medieval and early modern classes. Her courses include English 112, Chaucer, Shakespeare, Alterity in Early British Literature, and Drama in Early British Literature. Recent presentations have included papers on wonder, disgust, alterity, and medieval epistemology. Her publications can be found here. Dr. Hiro is Associate Professor of English with interests in race, genre, and feeling. She teaches courses on American, African American, and multi-ethnic American literature, as well as on the tradition of American protest literature. This year she is also teaching the department's inaugural senior capstone seminar, and she is currently the Director of the University’s Writing Center. In 2014, she taught at University of Mysore, South India, as a Fulbright Scholar. When not at work, she enjoys cooking and trail running. Her publications can be found here. 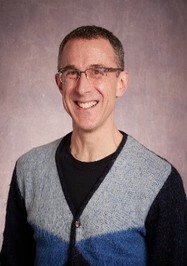 Dr. Larson is Chair of English and teaches twentieth-century U.S. literature for its connections with mobility, space, history, and power. His courses include ENG 112 Thinking through Literature: Mobility & Words in the World, American Lit. Survey II, Film and Lit., Northwest Lit., and City Life in American Lit. He has given recent presentations on deep time, wonder, spatial field guides, pedagogy, and material ruins, and is a longtime member of the Western Literature Association. Dr. Larson concentrated on American studies and literature as an undergraduate at the University of Pennsylvania and earned his Ph.D. in English at UCLA. A 2014 Teaching Fulbright in 2014 (Mysore, South India) expanded his focus beyond America, toward India. His publications can be found here. Dr. McDaneld teaches courses in the core curriculum with an emphasis on American literature, women writers, and feminist theory. She holds a Ph.D. in American literature from University of North Carolina at Chapel Hill and a Graduate Certificate in Feminist Studies from Duke University. 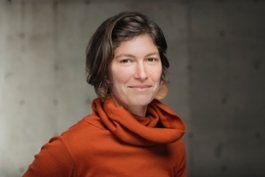 Her research examines how narratives of the early U.S. women’s rights movement circulate in American cultural discourse and she has a particular interest in pedagogy and questions of value for the humanities, something she explores as a mentor for Oregon Humanities. She’s recently presented a variety of work at national conferences on first-wave feminist memoir, the uses of digital archives in the classroom, and U.S. suffrage writing. 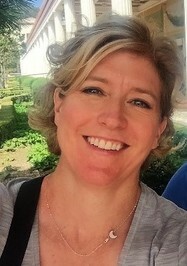 She also serves as a reviewer for Legacy: Journal of American Women Writers and Teaching American Literature: A Journal of Theory and Practice as well as Broadview Press and is currently at work on a book manuscript titled Suffrage in 20/20: Feminist Memory and the Construction of Suffragism in America. Her publications can be found here. John McDonald (M.A.) teaches Modern/Contemporary Arabic Literature, Advanced Writing, Introduction to Literary Studies, Thinking Through Literature, and College Writing. In 2008 he was awarded a Fulbright to teach American Studies and Early American literature at the University of Jordan (Amman). 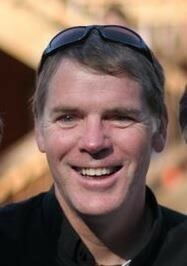 He also taught in the Writing Program at the American University in Cairo (AUC) from 1998-2000. 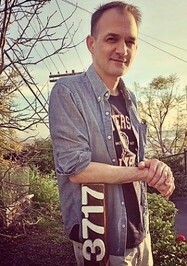 His published work includes three poetry chapbooks: Three Poems Twice (1994), La Mancha, (1996) and Without A Scaffold (2005), and his short stories, poems, and essays have appeared in various publications, including, Troubled Surfer, HEATHENzine, Arnazella: Literary and Visual Art from the Pacific Northwest, Fireweed: Poetry of Western Oregon, Lilliput Review, Golf in Egypt, The Palestine Chronicle, The Oregonian, and The Portland Magazine. His scholarly essays can be found here. Matthew Minicucci is the author of two collections of poetry: Small Gods, finalist for the 2016 Green Rose Prize from New Issues Press, and Translation (Kent State University Press, 2015), chosen by Jane Hirshfield for the 2014 Wick Poetry Prize. His poetry and essays have appeared in or are forthcoming from numerous journals including the Alaska Quarterly Review, The Believer, the Gettysburg Review, Oregon Humanities, The Southern Review, and the Virginia Quarterly Review. He is the recipient of numerous fellowships and awards, including the 2018 C. Hamilton Bailey Oregon Literary Fellowship and the Stanley P. Young Fellowship in Poetry from the Bread Loaf Writers’ Conference. He is currently working on his third book, Epode, a hybrid-genre examination of the soundscapes of the American West. Dr. Orr teaches American literature. His scholarly interests reside in late 19th and early 20th-century American literature and culture, including on-going work on Henry Adams, several women writers of the era and, most recently, the early Native American writer, Mourning Dove. 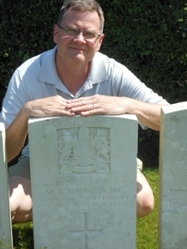 In addition to American literature, Orr is a student of World War I and modern China, and he often takes students on study abroad trips that explore those topics. In the fall of 2015, Orr was a Fulbright Scholar to China, where he taught American literature at Northeast Normal University in Changchun. Dr. Orr is also Assistant Provost, in charge of the Office of Undergraduate Scholarly Engagement. 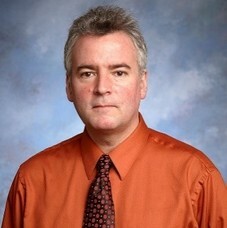 Despite his administrative obligations, he continues to teach courses in the English Department and advise English majors. His recent publications can be found here. 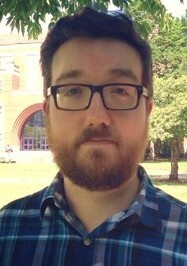 Dr. Swidzinski is Assistant Professor of English at the University of Portland, where he teaches and writes about seventeenth- and eighteenth-century British literature, poetry and poetics, and the history of literary criticism. You can find a list of his publications here. Dr. Ward teaches composition and argumentation for the University of Portland. He has taught a wide range of courses at other institutions, including American literature, Renaissance literature, film, and critical theory. He earned his PhD from the University of Oregon, where he wrote a dissertation exploring Shakespeare's theory of history. His academic interests include rhetorical theory, critical analysis of film, poetics, and classical languages. He teaches the university's basic writing course, ENG 107 College Writing. 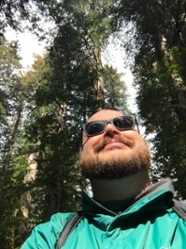 Sean Warren teaches literature and composition at the University of Portland, and a variety of composition, developmental, and fiction-writing courses at Portland State University, Clackamas Community College, and Chemeketa Community College. Sean earned his MFA in Creative Writing (Fiction) from Portland State University, where he studied under Charles D’Ambrosio, Tom Bissell, and Leni Zumas. His fiction and non-fiction have been widely published in print and online. His publications can be found here. 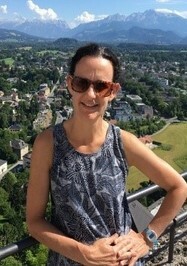 Dr. Weiger is Associate Professor of English at the University of Portland, where she teaches and studies nineteenth-century British literature and environmental literature. 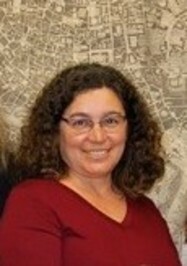 She holds a dual appointment in the department of Environmental Studies. Her courses include ENG 112: Thinking Through Literature (Weather and Climate), ENG 363: Environmental Literature, and ENG 403: Literature and Posthumanism. She also teaches British literature survey courses from the nineteenth century to the present, featuring writing of the Romantic period. Her recent conference presentations have been on the natural history writing of Henry David Thoreau and on Samuel Taylor Coleridge’s albatross. 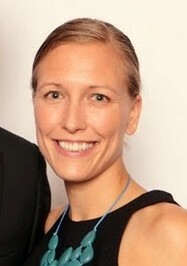 She earned her PhD at Cornell University and her BA at the University of Michigan. Dr. Weiger is on sabbatical leave for the 2018-19 academic year. Her publications can be found here. 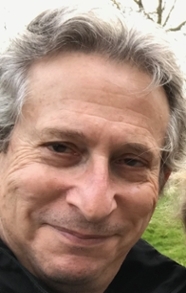 Dr. Asarnow taught poetry, early modern British literature, Shakespeare, and satire at the University of Portland for 35 years, retiring in May of 2014. He served as Chair of English for 15 of those years. He is a grateful and proud mentor to generations of UP students and a grateful and proud colleague to the marvelous English faculty. 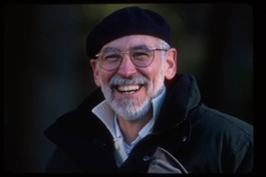 Herman has published a collection of his poetry, Glass-Bottom Boat (Higganum Hill Books), and his poems have appeared in such venues as The Southern Review, Prairie Schooner, Beloit Poetry Journal, and Guernica. His essays have appeared in North Dakota Quarterly, High Plains Literary Review, Iron Horse Quarterly, and Portland Magazine. And his translations of poems by Argentine/Spanish poet Noni Benegas have been published in Meridian and the Marlboro Review. Rarely on campus these days, he can be reached via his UP email. Dr. Masson spent over four decades bring the company of British Romantic, Victorian,and Modern Writers to his students and also nature writers from both sides of "the pond." In practicing what he taught, he found homes each year in little magazines and journals for poems and added three thin volumes of essays to the world of books: Reflections, The Play of Light, and Across the Quad. For those who remember him, he can still be reached at his UP email.